It is hard to believe, but the holiday season is already here! With the incredibly busy last few months that Precision Plus experienced, it is easy to feel as if fall flew by in the blink of an eye, and suddenly winter is upon us. In addition to sponsoring Operation Exploration IMTS 2018 in September and hosting many visitors during October for Manufacturing Month, there were a few additional exciting events that occurred within the organization. At Precision Plus, we know that if we’re not taking care of ourselves, it’s pretty tough to take care of our customers and partners. Just like we’ve been told before every flight take off, we need to put on our own oxygen mask before we can help others around us. For quite some time, Precision Plus has been encouraging team members to improve their health, fitness levels, and make all-around smart lifestyle choices. In celebration of Manufacturing Day (MFG Day) 2017, Precision Plus invites the community to attend an open house on Saturday, October 7th, from 9:00 a.m. to 1:00 p.m. This is a day to celebrate our industry, showcase modern manufacturing in action, promote career opportunities, and inspire the next generation of manufacturing professionals. Precision Plus Facilities Manager Neil Fleischhacker recently received the Sustainable Leadership – Small Business award from the Wisconsin Sustainable Business Council (WSBC). As a company that strives to be part of the solution when it comes to stronger sustainability efforts, we are extremely proud of Neil and our entire team. Please join Precision Plus in welcoming our 2017 summer interns. We continue to have great success with our internship program, and we are excited to introduce to you this year’s outstanding group of individuals. Justin Ferrari is a senior at Elkhorn Area High School (EAHS), and he has been with us this past year as a Youth Apprentice in machining. In July, he will be entering Gateway Technical College’s CNC High School Boot Camp program. Justin will return to Precision Plus in January for his mentorship in this program. Tyler Daehn is a senior at EAHS and has been with us this past year as a Youth Apprentice in IT. He will continue in this capacity for the summer and has elected to pursue a second year apprenticeship with Precision Plus for the next school year. Carson Filko is a senior at Milwaukee School of Engineering (MSOE) pursuing a degree in mechanical engineering. Carson is entering his fourth summer with us, and he will be working exclusively on projects led by our manufacturing engineer. Scheduled projects include incorporating our new Sawyer Robot onto our manufacturing floor and other process improvement projects. Matt Dowell is a junior at UW-Platteville, pursuing a degree in mechanical engineering. 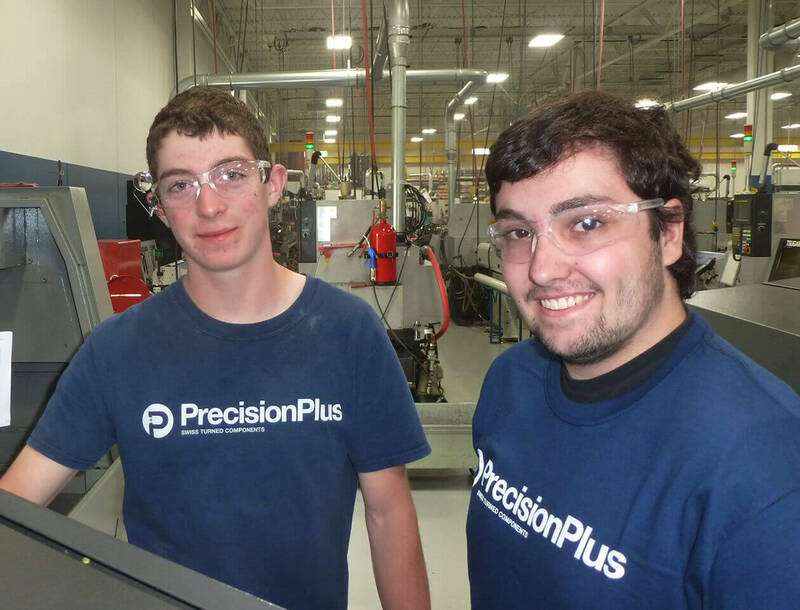 Matt is entering his fourth summer at Precision Plus, and along with Carson, will be exclusively working on projects led by our manufacturing engineer. William Sanchez graduated from EAHS and spent the last year with Precision Plus as a Youth Apprentice. He will be joining us full time for the summer before he leaves for Blackhawk Technical College. Alden Filko is a junior at MSOE, pursuing a degree in biomedical engineering. Alden is starting his fourth summer with us and will be working in the Miyano department. Although Alden is pursuing a degree in biomedical engineering, he says the hands-on experience at Precision Plus is very beneficial. Rachel Hunter is a sophomore at MSOE, and she is pursuing a degree in mechanical engineering. Rachel is a Precision Plus scholarship recipient, and this is her first summer with us. Max Rutowski is a sophomore at UW-Platteville, where he is pursuing a degree in mechanical engineering. 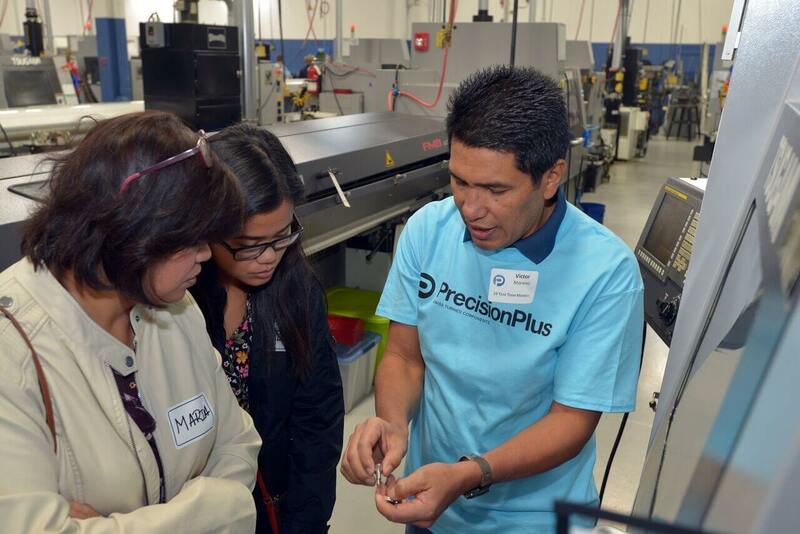 This is Max’s first summer at Precision Plus. He is from the Greenfield, Wisconsin area, and he is excited to gain some quality machining experience. Kathryn Lieffrig is a junior at Iowa State University, pursuing a degree in industrial engineering. Kathryn is spending her first summer at Precision Plus this year, and she is looking to gain valuable experience to bring back to the classroom. Isaac Taylor is a senior at EAHS, and this is his first summer with us. He had such a positive experience taking the new machining and manufacturing classes at EAHS, and he is looking forward to expanding on what he has learned. Jake Starr is a senior at East Troy High School. He spent the last year here as a Youth Apprentice in machining. He will be working full time in the CAM department, and plans to continue his second year as a Youth Apprentice next year. We always look forward to the summer interns arriving, along with the fresh ideas and burst of energy they bring with them. 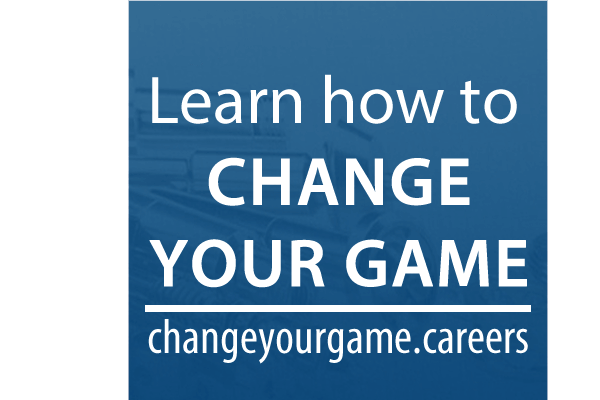 From their experience, they will gain knowledge, develop skills, make connections, strengthen their resumes, and assess their interests and abilities. Employers have much to gain from internship programs, as well. These programs are an excellent way for companies in our industry to accomplish tasks and projects that have been pushed aside for lack of time. Having interns at your place of business is also an ideal way to facilitate success in our industry, as we provide valuable training and mentorship for these students. We have learned over the years that good interns can turn out to be some of the best full time employees. If your business is interested in learning more about youth apprenticeship and internship programs in Wisconsin, read more at https://dwd.wisconsin.gov/youthapprenticeship/ and http://wisconsinfastforward.com/pdf/icp_waw_wrapup_1702.pdf. Out with the old and in with the new, as our improvement efforts here at Precision Plus continue. We have taken six of our oldest Swiss machines out of service and have brought in three new machines from our partners at Rem Sales/Morris Midwest/Tsugami to take their place.